. Being struck by lightening twice in the same place. …thinking further on that last point, I think that multiple lightening strikes would be a much more entertaining way to pass my time…but that’s by the by. But what’s got me to thinking about slim odds and poorly constructed television programmes in the first place I hear you ask? Well. A couple of weeks ago I caught wind of an exciting new gin start up in the renowned Yorkshire foodie haven town of Malton. And my curiosity had been peaked by the name of the mystery distillery; ‘Rare Bird’. What kind of Rare Bird, I asked myself? Are we talking about the English Progressive Rock band from 1969 (big in Europe I’m assured!) or ‘Iceland bargain loving mum’ Kerry Katona? And what does a bird have to do with gin anyway? Luckily for me, Master Distiller Matt was on hand to give me the guided tour and the low down behind the brand that he and partner Elizabeth have brought to fruition. On arrival at Rare Bird HQ, I am greeted by a beaming Matt and a hearty handshake. As we exchanged pleasantries and entered the distillery, the branding emblazoned on the glass door to perfectly match the bottle design (which we’ll come to shortly), it’s clear that this project is a work in progress that’s nearing completion. And like a proud new parent to be, Matt can barely contain his excitement; it’s infectious! True, there may be a bit of saw dust here and there, and not all of the fixtures & fittings are in place yet, but the blue print for how this converted, and previously dilapidated, stable block will end up as a completed Gin Distillery are clear to see. Whilst not yet open to the public, Matt shows me where the bar will be set up, for guests to be able to enjoy a G&T on arrival, and how some of the finishing touches (including a currently stray saddle) will be put in place to pay homage to the buildings heritage. As I cast my eyes around the room, like a gin fuelled magpie, I can’t help but be drawn in by the glint of the brand new shiny Still. Custom made in China to Matts exacting specifications, it stands deliberately and impressively behind a wall of glass, primed and ready for action. Now I should probably point out that ‘Rare Bird’ were not fully operational at the time of my visit, awaiting the final license approval from the HMRC to commence their distilling. But this did nothing to take away from the quite literal shine of ‘Florence’ (oh yeah, I’m on first name terms with the Still by now of course!). When distilling kicks off in ernest, Florence will turn 150 litres of water, and 11 botanicals, in to around 350 bottles of 43% proof gin per batch. Matt has a warming and refreshing view on gin, insisting that people want to experience something unique and artisan, with an element of theatre. And it’s for this reason that visitors will be able to watch the magic happen in front of their very eyes. And this ethos of having a ‘unique experience’ carries through to the surprise addition of a ‘Gin School’, squirrelled away upstairs. Eight neatly arranged stills, elegantly encase the centre stage where our Master Distiller will position himself as he guides willing participants through how to select and combine the botanicals of their choosing to create a personalised 70cl bottle of hand crafted gin to take home and show off to their friends. It feels like this is going to be a real selling point that helps Rare Bird cement their place as a fan favourite in the near future – school has never sounded so fun! Well, if blood is thicker than water, it turns out that alcohol is thicker still – it seems that craft booze runs in the family! When asked where the g-inspiration to build a distillery came from, Matt talks proudly about his brother’s achievements in the world of beer, expanding from home brew experimentation into a bustling craft beer establishment in London that goes from strength to strength. Indeed, if you’re ever in Peckham Rye, London, you’ll find the craft micro set up of ‘Brick Brewery’, romantically located under a railway arch and ready to pull you a pint. And after mentioning to his brother ‘I’d like to do something like this’, Matt was met with the retort ‘well…why don’t you?!’. Whilst the option of setting up a ‘Brick Brewery’ franchise north of the border was initially on the table, it was during a visit to the ‘City of London Gin Distillery’ where our intrepid hero fell in love with the idea of creating juniper based concoctions, describing the tour as being ‘Willy Wonker and the Chocolate Factory-esq’, so in awe he was of the kit and the distilling process. Whilst most certainly in the category of ‘new kid on the block’, Rare Bird has been a labour of love that’s been a long two years in the making for Matt and Elizabeth. And there is a lot more than meets the eye – for anyone who thinks that starting out making gin is a walk in the park, think again! The phrase ‘nobody said it was easy’ has never felt more appropriate. To my aforementioned point, after 2 years of graft, the team were still awaiting final HMRC approval at the time of my visit (which has now thankfully been approved). In finalising the recipe for Rare Bird, 29 different variations were tried and subsequently discarded. Our visit found botanicals including marshmallow root, olive leaves, chicory & liquorice root all neatly piled in a corner, thanked for their efforts but subsequently relieved of their duties. Our dynamic duo then went through 5 different bottle designs before settling on lucky number 6, navigating their way through the tricky waters of finding a design that would stand out on the back bar but without looking too much like a vodka bottle. And what a stunning bottle it is too! Reminiscent of the Gin Mare design, though distinct enough to not to be accused of a copy cat approach, the vessel stood proudly on display on the Still. Then there is the sheer level of investment required! Duty & VAT will set the team back a not insignificant £17 before they’ve even had chance to make a sale! On top of that sits the purchase and labelling of their stunner of a bottle. The bottles, French in origin, are only available for shipping in to the UK four times a year. Nothing that a bulk order of 5,000 bottles at a time won’t sort out, but it’ll do nothing to ease the nerves of a new start up! Hardships set aside (though Matt prefers to look upon them as ‘character building’) we start getting in to what the gin is going to be all about. And there will be a distinctly Mediterranean feel to Rare Bird. Let’s take a look at the botanicals; juniper, coriander, cassia, green pepper corns, cardamom & elderberries. Fairly standard I’m sure you’ll agree. But it’s the inclusion of hibiscus, French rosemary and the peels of Italian oranges & lemons that will really give this gin a taste of the Med! But what’s with the nod to our European neighbours? Well, we need only take a momentary glance at the pairs recent travel history to find some telling clues. Elizabeth had previously lived in Pisa, of ‘Leaning Tower’ fame, whilst Matt had himself owned a house in France. And having spent many a holiday in Florence (the name of that Still starting to make sense now? ), then the Franco-Italian alliance suddenly seems a natural direction. And it’s once you’re armed with this knowledge that everything falls in to place, and you realise that even the smallest of details have been woven in to the theme. The botanical choices, the Still, the bottling design and manufacture – even the chandeliers that will adorn the atrium of the venue have been sourced from France to set the right ambience from the get go. It’s this level of care and attention to detail that is going to set the pair in good stead as they aim to satisfy the insatiable appetite of the British gin scene. In Malton, they have not only selected a location that sits neatly between their current abodes of Loughborough and York, but they have also landed in a part of the world that is synonymous with gastronomy. And with the backing of Tom Naylor-Leyland as their landlord, heir to one of Britains largest land owning dynasties and harbouring the ambition of making Malton the food capital of Yorkshire, they are in good company! Their location in the ever developing ‘Talbot Yard Food Court’ promises summer sipping alongside exciting opportunities for great G&T pairings! ‘Mediterranean inspired, Yorkshire at heart’ indeed. For their launch, Rare Bird will dedicate their focus on their London Dry flagship. And whilst I’m yet to sample the final product (the subject of a future addendum to my Rare Bird story!) I’m well informed that a perfect serve of a premium tonic (Fever Tree Light or 1724 Tonic) with a garnish of Lemon, Pink Grapefruit or Blood Orange will go down quite nicely. Then again, our enthusiastic host is quick to point out that in the spirit of individuality, he is keen to not enforce one style of serve. When probed further, Matt divulges that alongside future gin options of Rhubarb, Cocktail, Navy Strength and Barrel Aged, the team may well venture in to the realms of whiskey, rum, vodka and maybe even their own tonics! An ambitious claim perhaps but, looking around at the impressive start they’ve made, I’m not willing to bet against them! As we turned to leave, I turn back, realising that one question remains unanswered; the elephant…well, bird…in the room. Just what does ‘Rare Bird’ have to do with gin. And I’m glad I asked. Elizabeth’s career in HR, and exploits abroad, had led her in to numerous meetings with French counterparts who would describe particularly strong job applicants as being ‘Oiseau Rare’. And whilst it’s literal translation to English may well be ‘Rare Bird’, its sentiment is to be interpreted as ‘one in a million’. On reflection, I can’t think of a more fitting description for the ethos and aspirations of this brand. After all of the hard work, production is set to commence at the end of this month. And as we took a final glance at the latest jewel in the Malton crown, it feels like we may have found something very special indeed. Our very own ‘Oiseau Rare’. 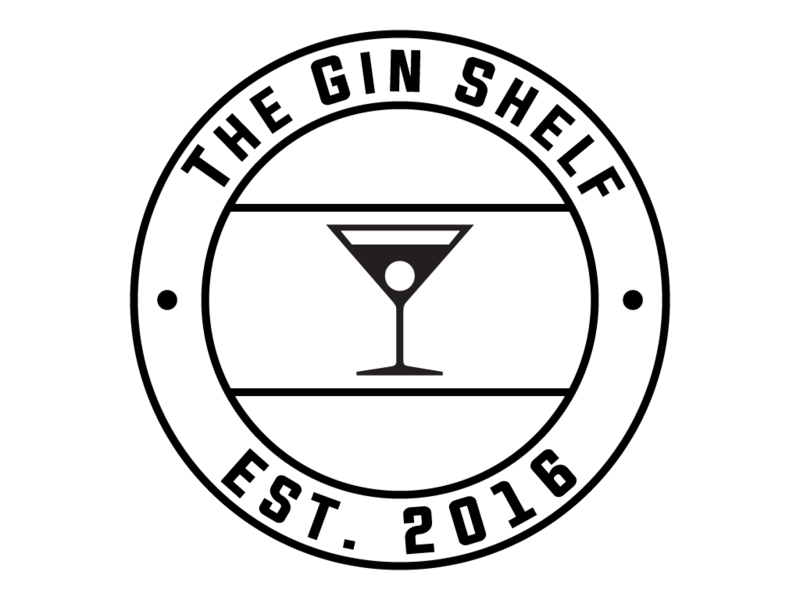 You can also follow ‘The Gin Shelf’ across social media (@theginshelf) – stop by and say ‘hi!’ for more reviews and gin chat. Thank you Matt and Elizabeth at the Rare bird Gin School great way to spend a Sunday afternoon. 3 hours learning about how gin is made and even get to make your own bottle selecting your own botanicals. Matt was very informative and Elizabeth kept us topped up with drinks . Very enjoyable fun afternoon a unique way to spend my husbands birthday with our son and daughter in law. One of the best Sunday afternoons we have ever had . Very informative and great fun the 3 hours flew by . Matt and Elizabeth wonderful hosts and the gin is amazing can’t wait to try my “ home brew “ .